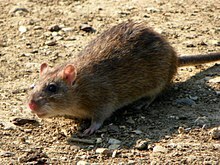 The brown rat in Oxfordshire is quite common. The brown rat (Rattus norvegicus), also known as the common rat, street rat, sewer rat, Hanover rat, Norway rat, Norwegian rat, Parisian rat, water rat or wharf rat, is one of the best known and most common rats. 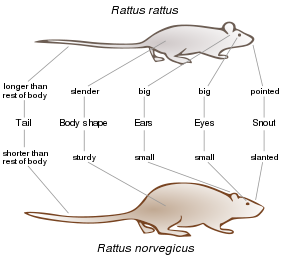 Comparison of the physique of a black rat(Rattus rattus) with a brown rat (Rattus norvegicus). At Armour-PestControl we use a wide variety of treatments in the control of rodents. Poison is usually the last resort but when we do used we ensure that we keep the environment safe. We are your “pest control companies near me” call us on 01993 650 131 or 07481 553 551. Our technicians are fully qualified and ready to get your home pest free. Areas Covered: Oxford, Banbury, Abingdon, Witney, Chipping Norton, Burford, Carterton, Cheltenham, Cirencester, Lechlade, Moreton in Marsh, Stow on the Wold, and surrounding areas.